Please note this data is for Fiscal Year 2018, before the completion of the Patrón acquisition. 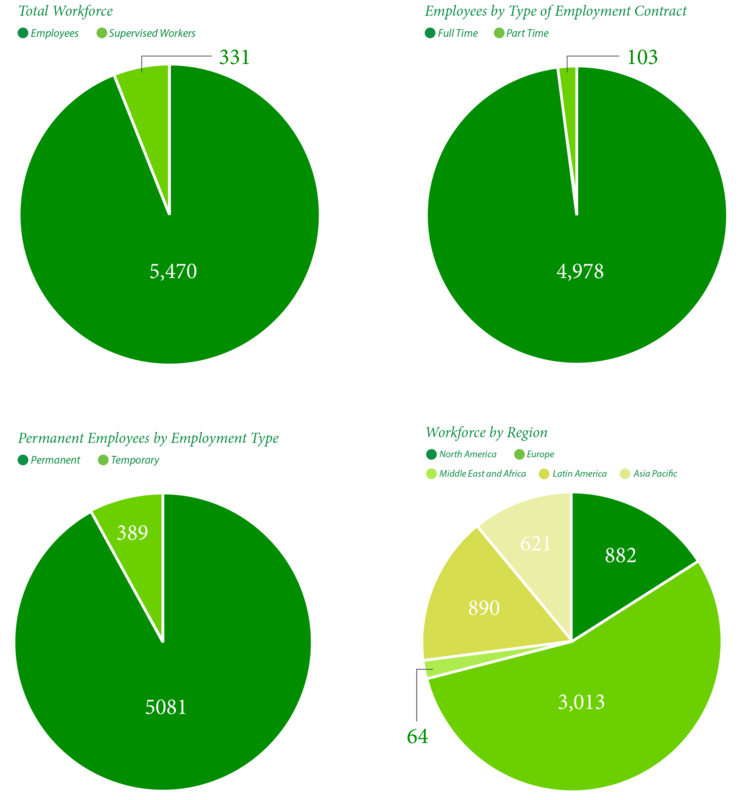 Total number of permanent employees by employment contract, employment type, region & gender. 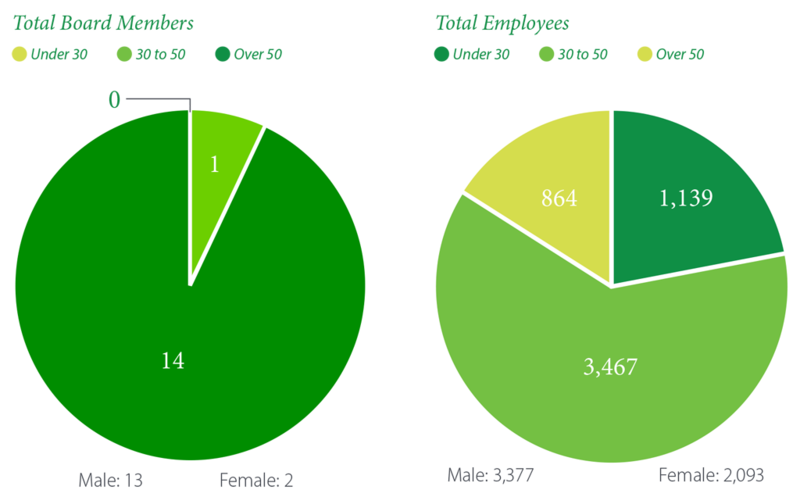 At the end of FY18, our total workforce was 5,801, comprising 5,470 employees and 331 supervised workers. 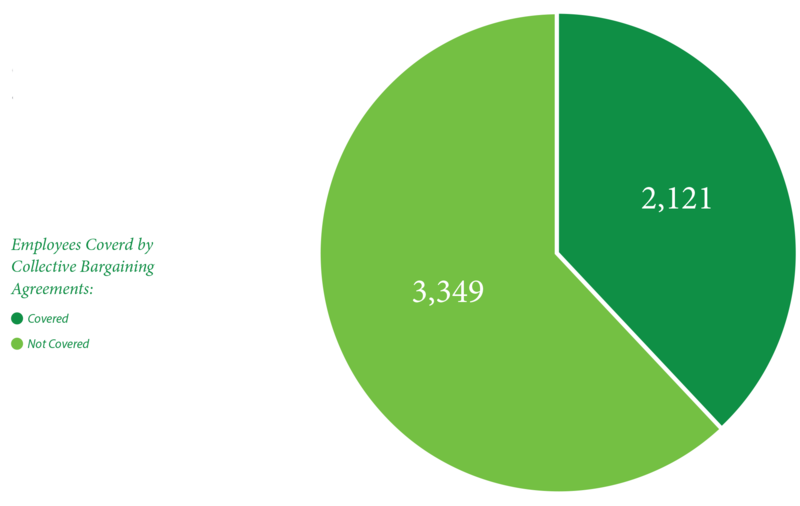 In FY18, 39% of employees were covered by collective bargaining agreements. In FY18 806 external new employees joined the business, representing a hire rate of 15%. In FY18 872 employees left the company, representing a turnover rate of 16%. 496 promotions, 301 lateral moves (for a combined promotion/mover rate of 15%). 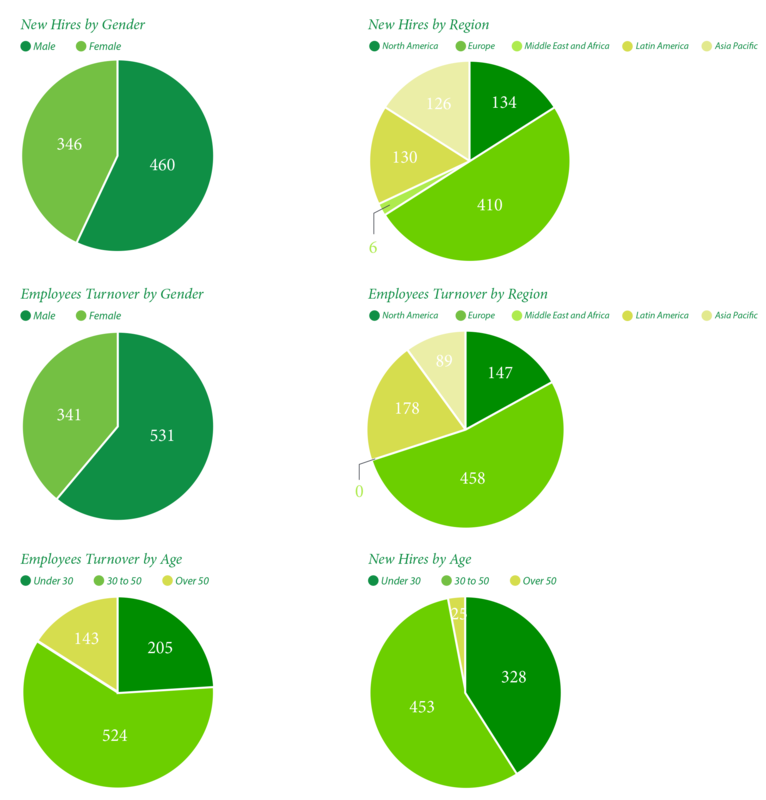 Composition of governance and ethics bodies and breakdown of employees per employee category according to gender and age group.